Our beautiful 18-hole championship layout is a must-play for both serious and leisure golfers. The course weaves its way down to the beach and back again through mature eucalyptus forest with undulating and challenging terrain. It is Par 73 with a blue course slope rating of 144 and a white course slope of 135. The layout offers spectacular views from tees and greens over the Pacific Ocean and every hole provide unique challenges for players of all levels. It is one of Australia’s truly great non-metropolitan golf courses. The 18-hole course was opened in 1982 by its designers Mike Woolveridge and five times British Open winner Peter Thomson. It was the first residential golf course in NSW and has been a regular host for Men’s and Ladies Pro-am events, Legends tour events, an annual interstate elite young golfer’s championships and regular district and regional championships. On the South Coast it has become the Player’s Choice. Perhaps Peter Thomson’s own words best describe the course and its design philosophy. 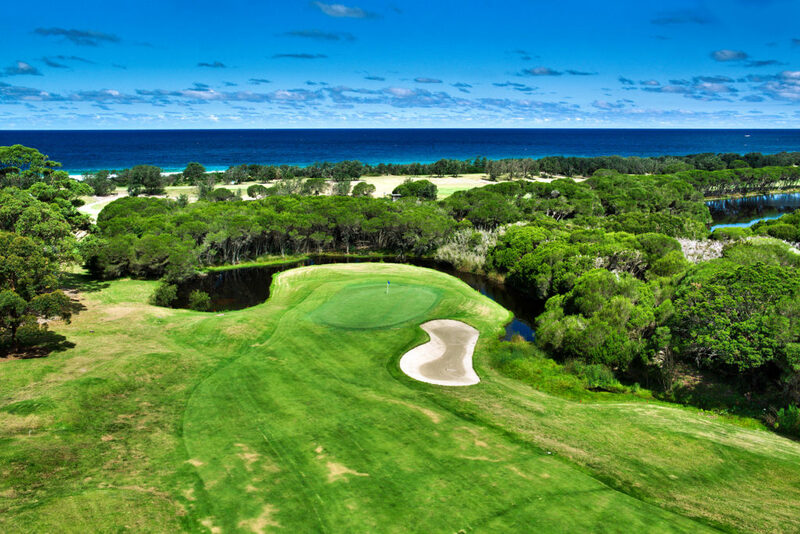 “Part of the Tura Beach golf course bears a striking resemblance to the great classical seaside courses of Britain, while other parts of the course take in the almost unbelievable beauty of the Australian forest area. The end resemblance is something quite special that will in time take its place in rank amongst Australia’s prestige courses. The first nine holes take us down to the beach, where the great Blue Pacific rolls with a roar and spray. Here we can take in its breathtaking views before tackling the rest of the course as it rises steadily from the marshland back to the starting point. The second nine holes take on a tour of the tall forest, with its sound of birds and scent of eucalyptus. These nine holes will remind world travelers of great inland venues of the U.S.A., such as Pinehurst and Augusta National. The new Rule of Golf on anchoring came into effect for all golfers in club golf, social golf, and professional golf on 1 January 2016. The new Rule’s reference number in the 2016 Rules of Golf book will be 14-1b.